The skid control ECU converts wheel speed sensor signals into 4-pulse signals and sends them to the combination meter. 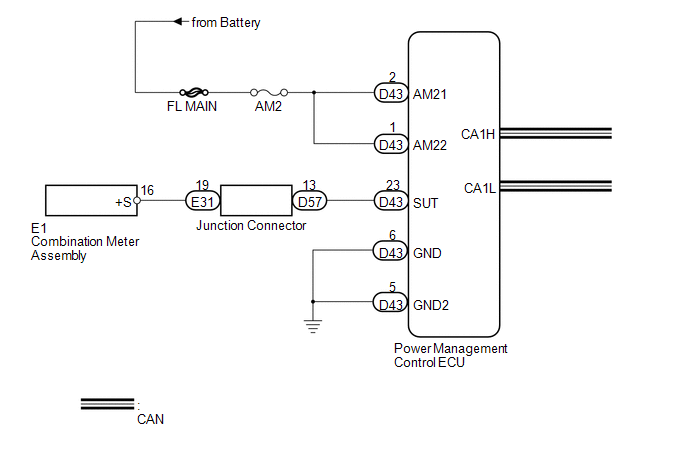 After this signal is converted into a more precise rectangular waveform by the waveform shaping circuit inside the combination meter, it is then transmitted to the power management control ECU. The power management control ECU determines the vehicle speed based on the frequency of these pulse signals.